Carlos Saura was one of the only Spanish directors able to claim he controlled his films under dictator Francisco Franco and embraced the label of auteur. His independence from a cinema defined by strict censorship was possible thanks to two factors: one, he frequently worked with popular actress Geraldine Chaplin whose bankability gave him enough economic stability to be independent of funding, and two, he was the only director from Spain to be famous outside of the country which was important for the image Franco was trying to cultivate. 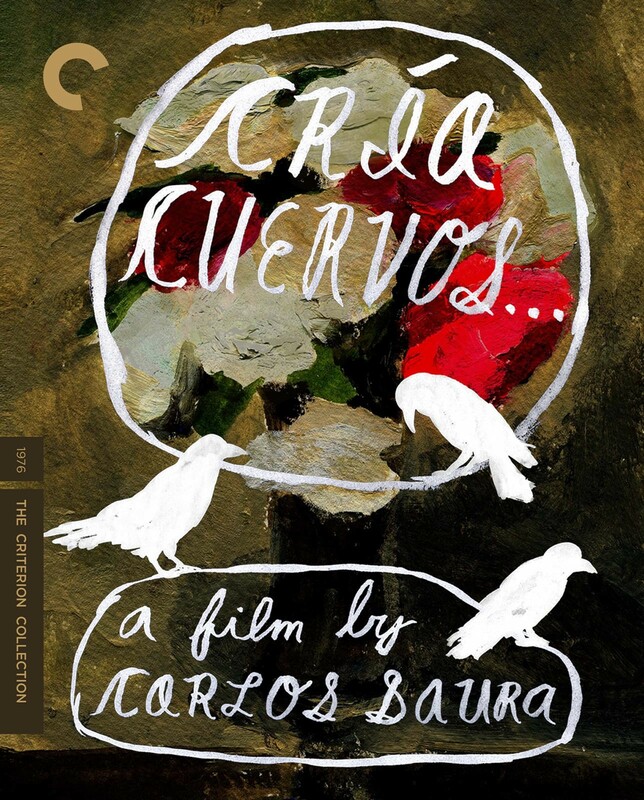 A signature work of Saura’s is Cría Cuervos, released a year after Franco’s death in 1976 though conceived and filmed while the dictator was still alive, with Saura believing ‘Francoism was dead before Franco died.’ Cría Cuervos is Saura’s political thesis that though Francoism as a political force could pass away, it’s psychological legacies would remain. 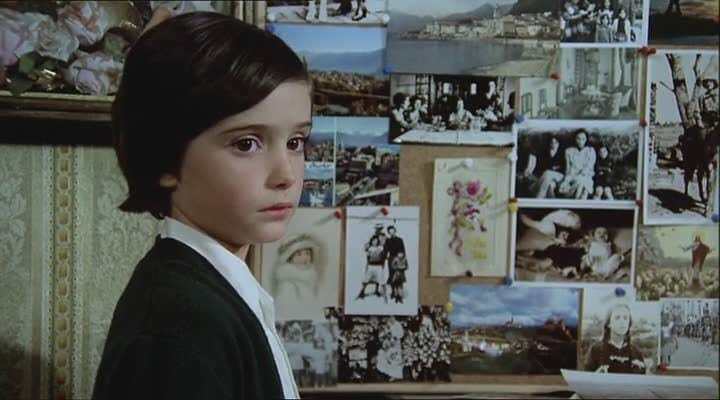 Focusing on a young girl called Ana, Cría Cuervos follows three young orphans during the summer holiday, which proves to be a formative era for them all, and the psychological legacy of the dictatorship is presented in how Ana’s memories are fractured, horrific, and show a repressed violence towards the family. Cría Cuervos begins with a long shot where the camera lazily passes over a series of photographs following Ana’s mother María as she nurses her infant daughters, these moments are not presented as joyous, instead Chaplin’s expression is one of woe as she gazes into the distance as her family grows. Her melancholy is matched in various pictures of her children, and then in the darkly lit room of the family home, where the camera pans across abandoned furniture and focuses on the door of the father’s bedroom where he is having an affair and succumbs to a heart attack. Throughout all of this the sad keys of a piano play: María is later revealed to play the instrument and forced to stop due to illness. Her unhappiness and death is unknown to the audience at this moment, but absolutely suffocates the opening of the film. The audience doesn’t realize it, but they are aligned with the pain and unhappiness of women before the film truly starts. As Ana walks in on her dead father with an unflinching expression of indifference, we see her take a glass from the side of the bed and wash it carefully, later discovering she believes she poisoned him though the narrative reveals she actually poured bicarbonate of soda into his drink. Fathers in Spanish cinema can easily be linked to Franco, given his patriarchal dictatorship, and here Ana disavows them both. Not only does she ‘kill’ the patriarchal figure, she later refuses to kiss her dead father after being instructed to do so by her aunt (‘kiss your father then pray for his soul’), seen as great dishonour during a funeral attended by military members. This moment is followed by a scene where Ana imagines jumping off a roof and floating above the city, the death of the patriarch being signified as liberating. This stands in great contrast to how she deals with the death of her mother, who she constantly places in her memories and whose sadness (which she blames on her father) being vivid to her twenty years after the events we are seeing unfold from the gaze of her child memory. In this moment, adult Ana admits she doesn’t fully remember what she is retelling and this is made evident in a scene where the maid is talking to her about how her father would try to force himself on her. Ana then imagines her father and the maid flirting with each other, which she and her mother walk in on and stand together, united against them. At any instance where her mother’s life is revealed to be fraught with deception and pain, Ana imagines herself to be with her, supporting her now she knows the extent of which she was a victim to her husband, the society, and the political ideology she was a part of. Memory is not only presented here, but is shown through the role play games played by the children, dressed in their father’s attire and replicating an argument they evidentially overheard between their parents: internalising their words but not grasping the levity of them given their giggles that ensue from reconstructing an argument. This is one of the only instances where Ana is shown to be having relative fun playing with her sisters (and even then the tragedy of their parents is foregrounded) and adult Ana reflecting back on her childhood admits her youth was a period of great sadness. By remembering her mother, she is trying to lessen the pain of the trauma of losing her, but as everyone reminds her as the film progresses her mother is dead and if anything, these memories are making moving on from such a disruption harder. Ana cannot grapple with this fact, and this inability to cope with the death of her mother is best presented through the song ‘Porque te vas’ which is played at three instances in the film. ‘Porque te vas’ perfectly encapsulates the fact Ana cannot understand what is going on around her, as the song focuses on absence and questions why someone would leave – which Ana is doing with her mother as she can’t bring herself to acknowledge she isn’t coming back. As various critics have noted, Jeanette (the performer of the song) is a British born Spanish singer, paralleling Geraldine Chaplin as a British born Spanish actress, further connecting the mother to the song. ‘Porque te vas’ plays twice as the sisters dance together and just before Ana shows a series of photographs to her grandmother, many of which feature María, and again at the end of the film as the girls walk to school. In the concluding minutes of Cría Cuervos, Ana tells Irene their mother is dead in a reversal of an earlier scene, but the use of music shows her legacy remains with them. While María has been forced into the role of quiet wife and doting mother, in reality she is far from simplified or silenced, though her moment of great rebellion comes in her death where she tells her daughter nothing exists and that she is afraid of death, opposing the fundamentals of Catholicism (which was the only religion to have legal status under Franco.) María stands in contrast to the beliefs of Francoism in more ways – she is remembered above the father, her experience as a mother is punctuated by suffering (evidenced both in the previously mentioned opening credits sequence where she is unsmiling in the family pictures and later in her death) rather than it being a glorious moment, and she is physically absent to the family. This moment, of María bleeding on her bed, as well as the overall themes and representations of the film provided a template for future stories grappling with the effect of the dictatorship. Namely, another film that is a part of the Criterion: Pan’s Labyrinth. Ana and Ofelia are both young girls dealing with the absence of their parents, they both witness the death of their mother, they both live in homes symbolic of the decaying of Francoism, and both blur fantasy and reality to grapple with the bleakness of their situations. Both, too, link song to memory with Ana’s aforementioned constant listening to ‘Porque te vas’ and the importance of Mercedes’ lullaby as a motif to Ofelia’s journey. Evidentially Cría Cuervos is a film whose narrative accomplishments persist in modern cinema, influencing the great number of films that followed it in dealing with the enduring legacy of the dictatorship in Spain. John Hopewell, Out of the Past. Spanish Cinema after Franco, (London: BFI, 1986), 137 – 138. 2. Maria José Gámez Fuentes, “Women in Spanish Cinema”, CINEASTE (Winter 2003): 38. View Cría Cuervos on Criterion here. 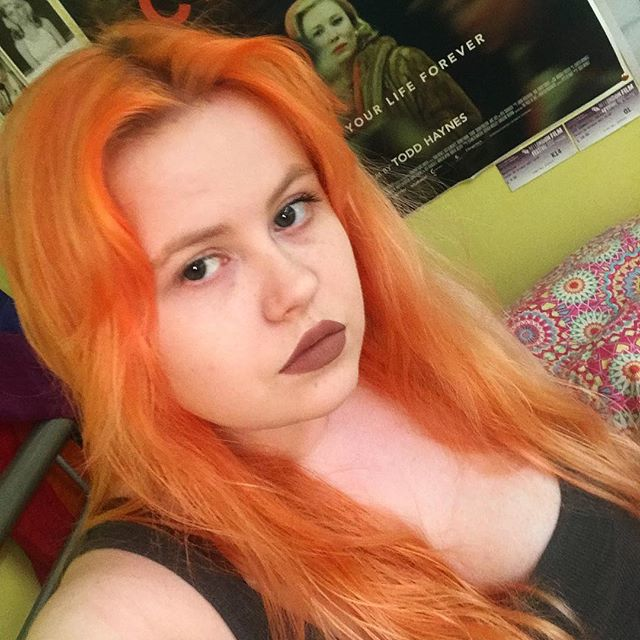 Once described as ‘a dumpster fire dedicated to Cate Blanchett’, Megan is a film student at King’s College London who acts like your typical Northerner whenever faced with London prices. Importantly, she is only ever truly alive during Eurovision week or when she receives an invitation to Wetherspoons. Her favourite films are Carol, the Paddington series, and pretty much anything released by Disney/Pixar. For more film nonsense you can follow her on twitter,letterboxd, or instagram.